Geo-Environmental provided geotechnical and environmental ground investigations, on behalf of George and Harding, at ten Travelodge Hotel sites across the country to ascertain ground conditions for the design of new hotel buildings and extensions to existing hotel buildings. The site works were programmed to be undertaken over a period of ten working days and were co-ordinated to run consecutively. The investigations were carried out during hotel operations, within the Travelodge car parks and immediately around the footprints of each hotel buildings. 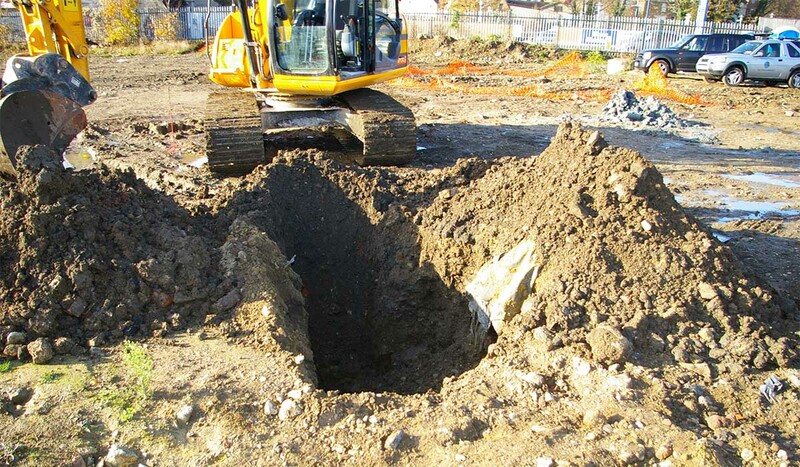 Geo-Environmental’s experienced team with its broad knowledge of investigation techniques and experience of managing and implementing a number of similar projects, provided advice on foundation recommendations, excavation stability, concrete class, pavements and soakaways. Geo-Environmental was able to provide a robust Health and Safety Plan, relevant site specific Risk Assessments and Method Statements for all works carried out on each of the ten sites across the country. Utilising strict site controls and following robust, yet pragmatic health and safety protocols, the works were carried out in such a manner as to limit disruption and associated risks to Travelodge customers, the general public and the hotels infrastructure. The reports for each site were delivered on time and within budget. Subsequent to this contract, Geo-Environmental have been awarded work on several further Travelodge sites with an approximate contract value in excess of £60k. We continue to maintain a very good working relationship with the client, associated consultants and design and build contractors.